In a major real estate deal today, Priyanka Gandhi's husband Robert Vadra bought Delhi Tihar Jail land for 10 rupees from Indian government. The son-in-law of Sonia Gandhi decided to purchase the land after few NDA leaders, including Uma Bharti threatened him that NDA will put him into jail over alleged land scam with DLF, if it comes to power. According to sources of 10 Janpath, Vadra in partnership with DLF plans to develop Tihar jail into a lavish holiday resort. "Robertji wants to convert jail into a lavish holiday resort for the benefits of prisoners. It will be a biggest attraction for the world and will be a major talking point too, considering no other jail will have that kind of humanely facilities that Robertji has envisioned," said Congress leader Rajiv Shukla. Shukla told India Satire correspondent that Vadra has entered in partnership with DLF to purchase the land. Vadra raised 8 rupees as loan from DLF while both have invested 1 rupee each in the deal, indicating 90:10 stake in favour of Vadra. Shukla confirmed that the land was sold for 10 rupees as nobody else have shown interest in developing it. "Robertji has big plans for the land. We invited bids from 10 subsidiaries of DLFji and 15 shell companies of Robertji. However, nobody qualified for the land purchase and therefore we allotted the land to Robertji and DLFji's partnership," said Rajiv Shukla. 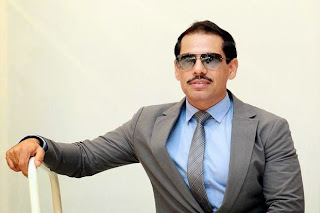 According to sources at 10 Janpath, Robert Vadra wanted to protect his jail term as a luxury holiday if upcoming NDA government takes the charge of the nation. The source told correspondent that people from across the world and India will have a dream to visit the resort for at least a month. After the deal, Robert Vadra on Facebook posted "Mango man in Banana Republic will dream to stay in Tihar jail." 0 comments for "Robert Vadra buys Tihar Jail land to convert his jail term in lavish holiday"